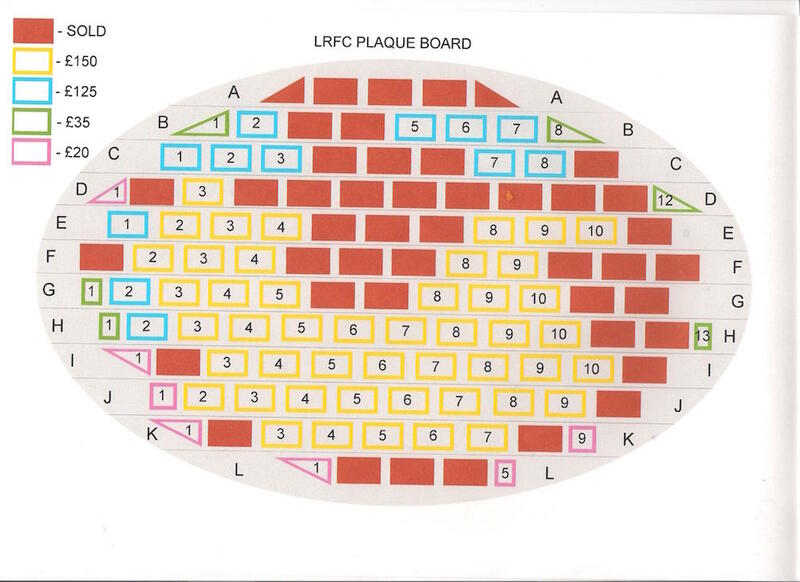 You may have noticed the rugby shaped plaques that adorn the walls of the Clubhouse. They were started some years ago as a fundraising venture which enabled Club members to record names or events in exchange for a small donation. Bob Dow, long time club member and member of the former and formidable Reds’ front row, is seeking your help. He has identified the slots and prices for the remaining slots on one of the rugby balls – see below. Anyone wishing to purchase a brick should get in touch with Bob Dow regarding the place and cost they wish to pay along with the wording they require on the plaque. Bob would prefer to be telephoned on 01506 844005.